Fall + bubbly hot chocolate are so mint to be, don’t you think? 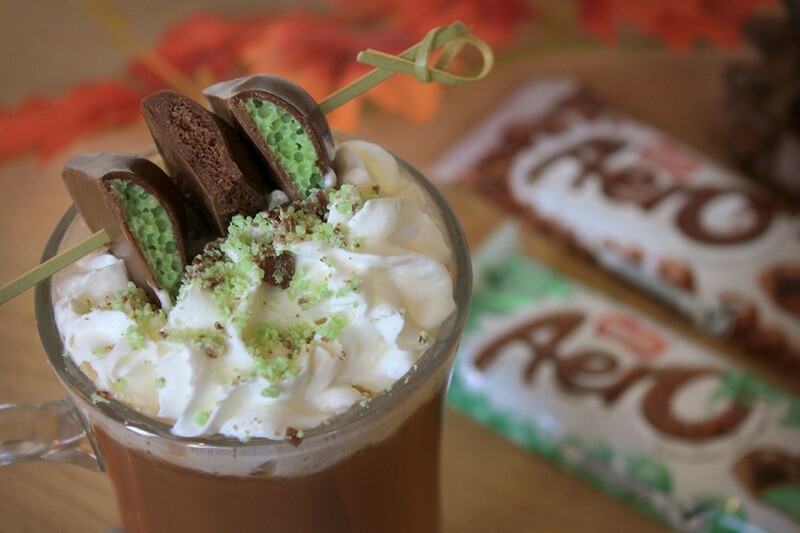 Melt an AERO Peppermint and an AERO Milk Big Bubble Bar into 4 cups of milk to make 4 servings of this decadent drink. Hot chocolate isn't complete without marshmallows! Instead of melting the chocolate into milk, try it in coffee for a tasty afternoon treat!